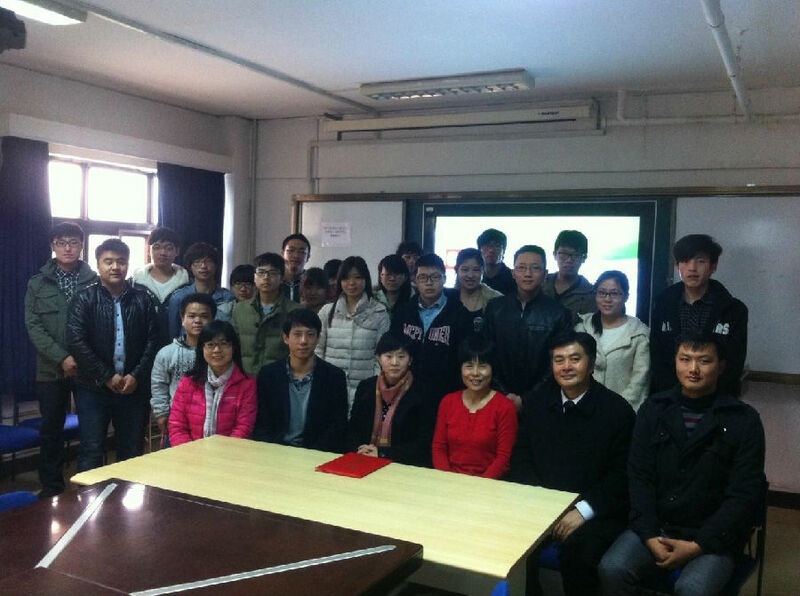 King's assistant general manager Cathy He, sales engineers Alex Wang and Bruce Gao met with King's MotivationalScholarship awarded recipients in School of Material Sciences and Technology (SMST), China University of Geosciences (Beijing) on November 20, 2014. Branch Party Secretary Mingzhe Yin, vice dean professor ZhaohuiHuang and assistant LijuanWang from SMST took part in the meetingceremony. In addition, King's MotivationalScholarship awarded students and many other student representatives from SMST also attendthe ceremony. Cathy explained the aim for King' s to set King's MotivationalScholarship in SMST, which is targeted to finance outstanding students whose families can't afford the tuition for university study, encourage them to study hard, pursue their dreams and make contribution to the society.Alex and Bruce who graduated from SMST as outstanding postgraduated students also shared the studying and working experience, advised the studentsto learn professional knowledge hard, self-positionaccording to their ownspecialtiesand prepare for career advancement as early as possible.Professor Huang introduced the achievements SMST had made in recent three years, in terms of scientific research, infrastructuraldiscipline construction,teaching and social activities, etc. After that, Secretary Yin issued a donation certification to King's on behalf of CUGB to show the appreciation to King's contribution to CUGB and SMST's development.Finally, the students and King's participants had a further communication focusing on topics such as students cultivation and what King's cared most when recruiting new employees, etc. King's MotivationalScholarship is aiming at financially assisting students from poor families who study diligently and self-motivated and ambitious to make contribution to the society.For three consecutive years since 2012, King's has already funded 15 students in SMST.